Bahamian delegation participating in dialogue and networking at the DC Chamber of Commerce on March 6th. At center are Bahamas Ambassador Sidney Collie; Mr. Vincent Orange Sr, President of the DC Chamber of Commerce; Minister of State Kwasi Thompson and Bahamas Chamber CEO Edison Sumner. 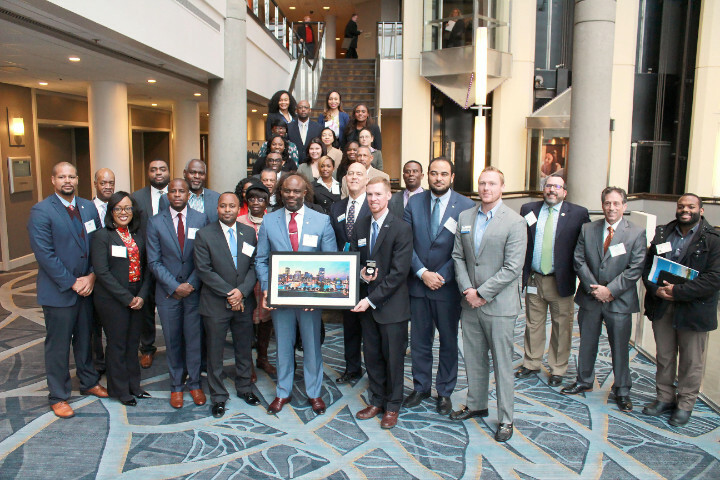 The Trade Mission explored the promotion of collaborative business links, both at the national and state level in the DC and Maryland area, so as to enhance the prospects for Bahamian trade and investment with the Washington DC area. This was accomplished through the provision of opportunities for high-level and sector specific dialogue, networking and matchmaking. The Mission focused on Financial Services; Tourism & Creative Industry; Agriculture & Fisheries; Shipping & Logistics; Brewing (rum and beer); ICT and Real Estate. In addition to exchanging information on national foreign investment and tourism opportunities in The Bahamas, industries specific to Grand Bahama such as technology, transshipment and manufacturing/industrial were also highlighted for investor consideration. 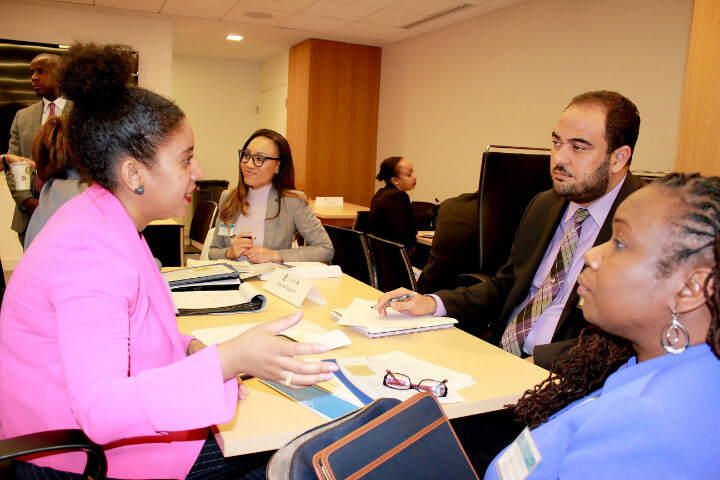 Bahamian representatives at sector specific matchmaking sessions at the DC Chamber of Commerce on March 6th. The delegation engaged in high level dialogue with senior US Chamber of Commerce and US Department of Commerce representatives, respectively, to discuss opportunities for cooperation with trade facilitation and business expansion between the United States and The Bahamas as well as executives at the Inter-American Development Bank (IDB) on public and private sector initiatives that might be of benefit for the strengthening the business climate in The Bahamas. A trade mission showcase reception was also convened at IDB on March 6th to further promote business opportunities in The Bahamas. 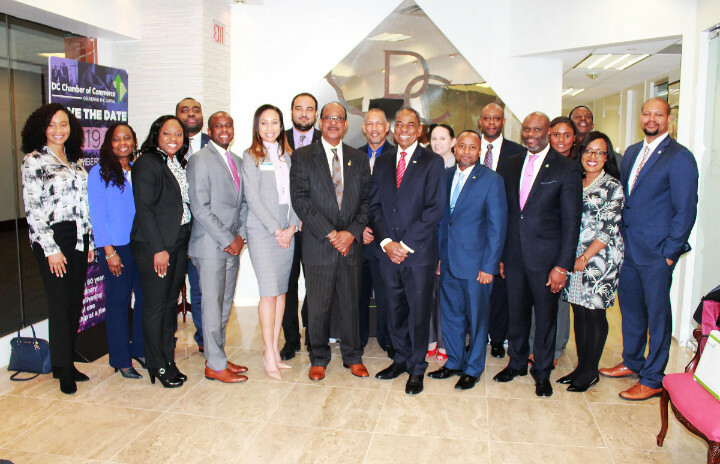 On March 6th and 7th, the delegation participated in high level business dialogue with the DC and Baltimore Chambers of Commerce, respectively towards business to business matchmaking sessions with local companies interested in commercial links with The Bahamas. The Bahamas Chamber of Commerce and Employers Confederation also signed Memoranda of Understanding with both the DC and Baltimore Chambers of Commerce, providing the framework for long term collaborative efforts towards business development and enhanced two-way trade. It is anticipated that the Baltimore and DC Chambers will reciprocate the trade mission with their own missions to The Bahamas in 2019. 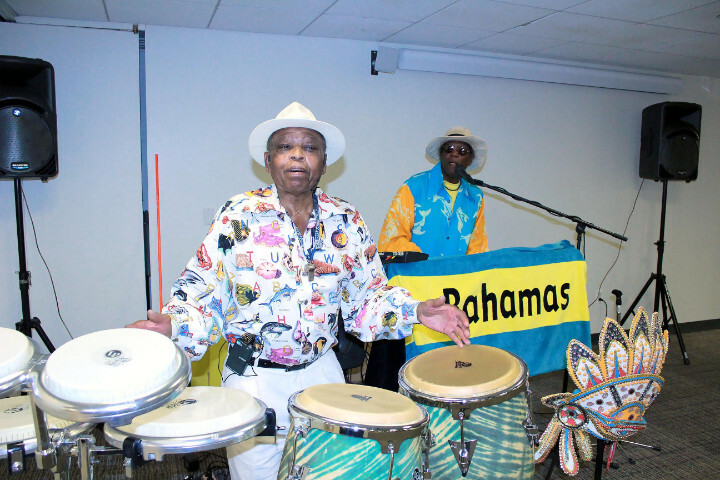 Bahamian entertainer Mr. Ray Smith at Trade Mission Showcase Reception at the IDB on March 6th. 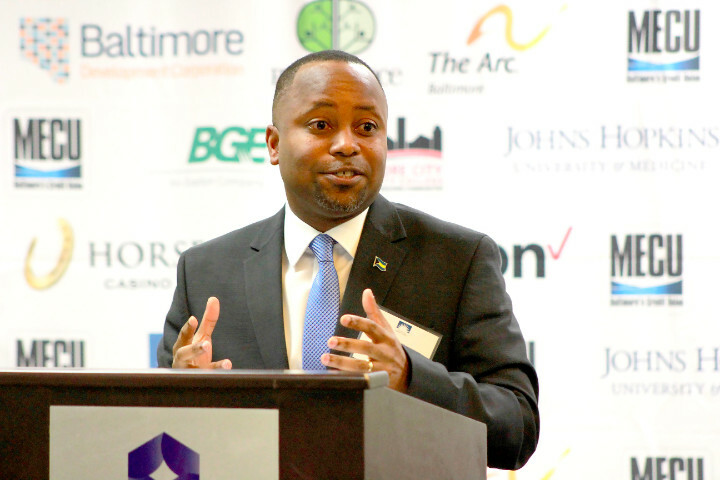 Minister of State Kwasi Thompson delivers remarks to Baltimore Chamber of Commerce delegates on March 7th. Bahamian and Baltimore delegates after signing of Chamber to Chamber MOU with the Baltimore Chamber of Commerce on March 7th. At center are Baltimore Chamber President Eben Frederick and Bahamas Chamber CEO Edison Sumner.